Hey guys and gals! Hope your summer is going great. We are having one of the nicest summers I can remember here in Alaska. As summer winds down, I thought this would be a great time to get everyone together for a couple days of potato hackin’. Who’s in? Everybody wants to lose a couple pounds over the summer months, but it’s easier said than done. If you’d like to join me as I try to drop 5 pounds, I’d love the company. 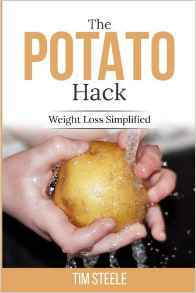 Keep in mind, the potato hack isn’t really a diet, more a quick weight reset. Along the way you’ll learn about your eating habits and how to eat right for yourself. The potato hack is also a great way to fix stomach problems. If you’ve developed heartburn or indigestion from one-too-many summer barbecues, this might be what you need to set your gut straight again. I’ll put out a daily blog post from now until the 14th, then we’ll get started. If anyone wants to start early, have at it…let us know how it’s going. You’ll need a sharp, short knife to cut and peel potatoes. Most potatoes will have a couple bad spots that need removed. The one shown only costs $8 on Amazon. If you really wanna get fancy, and have a little fun, get yourself a Spiralizer. This little gadget cuts your potato up into various shapes and sizes in seconds. I’ll show you how to use it as we get closer to hack-time. There are lots of models to choose from, most are under $30. Most of us have a stove, cooktop, barbeque grill, or microwave. But if you don’t you can use a Crockpot (under $50), Instant Pot ($150), or air-fryer (around $100). If cooking just is not your thing, you’ll have to find a restaurant that serves plain potatoes. Wendy’s has a great potato, just stay away from the toppings! Boiling potatoes is always a good option. It’s easy to boil up a batch of potatoes ahead of time and keep them in the fridge until you are ready to eat them. For this, you’ll just need a good saucepot (for small batches), stock pot (deeper than a saucepot), or steamer. If you’ve read much about the potato hack, you know that most of what you’ll be eating is potatoes. But feel free to spice them up as you like. You can eat them plain, or with salt and pepper. Some like the taste of vinegar on potatoes. A bit of ketchup is fine. Just don’t go for the cheese, sour cream, or bacon bit types of potato toppin’s. I was going to try to be funny and tell you that the last thing you’ll need is a fork, but that’s not true! That’s about it. You might want to get a few of these things to make your potato hack easier. Tomorrow we’ll talk about the hack and what to expect. Can you drink diet soda? If it’s sweetened with Stevia, I’ll give it my blessings. I prefer that people stop sweetened beverages during the hack, but I also know how they can make life worth living, haha. For me, it’s two cups of coffee in the morning with a packet of Stevia in each. I’m not a fan at all of other artificial sweeteners, hacking or not. Perhaps if you are hopelessly addicted to diet sodas a week away would do you some good, and eating just potatoes will take your mind off of it. Improving the gut flora is a possible benefit of the potato diet. There’s some research showing that diet sodas change the gut flora, probably not for the better. Another possibility is to get sparking water free of any preservatives or chemicals. You could add stevia (I don’t use it), but another good one is inulin. Inulin will help improve the gut flora, but be careful on how much you use if you are unused to fiber! If you need flavor, Republic of Tea has a product called u-matcha that’s ground Japanese green tea and monk fruit that contains inulin as a sweetener. You can pour it directly into water without infusing. Easy peeling: Make a small knife incision around the “waist” of the potato — just breaking the skin. Then boil the potatoes for 25-30 minutes whatever. Put them into cold water so you can handle them and then just peel the skin off with your fingers. Saves a lot of time. Yeah, that works pretty well, but seems to depend on the kind of potato. Sometimes it works, sometimes not. When it works, it’s really cool. I like to cook my potatoes a bit on the undercooked side, unless making mashed potatoes, but then I leave the skins on anyway. Greetings from the East Coast. Long time lurker, first time posting I believe. Purchased your book when if first came out, enjoyed it very much, well done. I found this place probably the same way other readers may have; low carb, paleo, primal, PHD, and now this. Veteran of several potato hacks, in fact I am on day 3 of a 5 day potato hack this week, this will be my second 5 day hack in the past 30 days. My goals have been weight loss, better food choices after the hack, and improved gut health. Been through challenging times the past few years so this “clean up” is warranted. The last 5 day hack and this one I’m am on now are old school, keeping it real. First day boiled potatoes, no salt, no pepper, absolutely nothing. The next 4 days I incorporate salt and pepper on my boiled potatoes, that’s it along with water. I have kept detailed data such as weight loss per day, amount of potatoes eaten, physical activity, stamina, etc. I can share that later after I complete this potato hack to see if I can identify any trends. I may also be interested in a more creative hack and trying new recipes out so I can compare data so I may be up for the August challenge week too. Awesome! Thanks for the note. I feel encouraged to try the hack again, received a few kg of fresh local potatoes. I just want to get a couple of work-outs in first, followed by lots of protein. One month of no exercise, vacation and too much junk food has caused sarcopenia. It will be an interesting experiment. I tried 3-4 days this winter… And felt quite awful. Severe brain fog, buzzing tone in my ears, almost felt like I was on drugs. This is in fact similar to what I felt those crazy first days on RPS, but that passed with time. Also quite a lot of hunger, but did lose a few pounds. 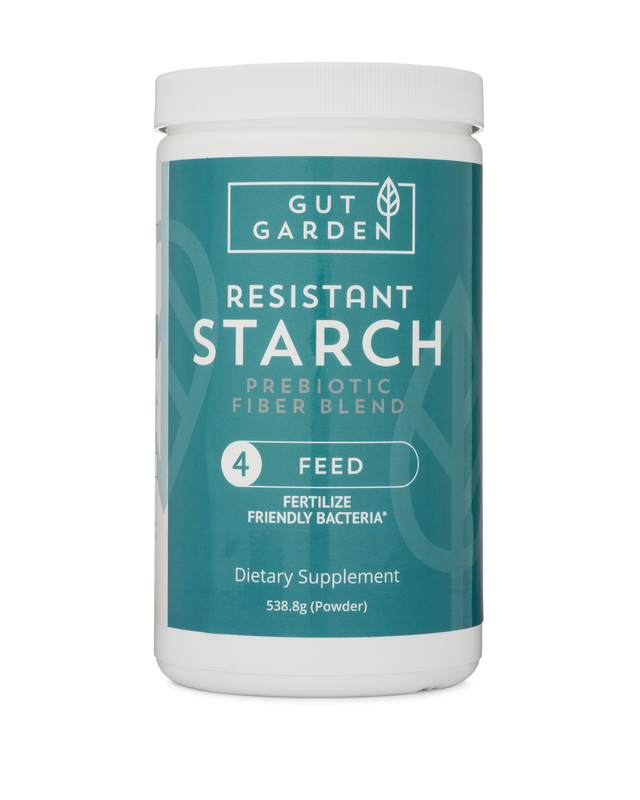 After reading and watching Karl Seddon’s great material on gut bugs, it seems my particular flora was breaking down the starch to undesirable and nasty bi-products, not just SCFA. How will the flora react now? Has it changed since last time? It would be interesting to find out. Also, has anyone felt bad, but stuck to it, and improved? I rarely hear from people who feel terrible when potato hacking. The biggest complaint is that people just simply lack the will to carry on with it after the first meal or two. This speaks more to getting stuck in eating patterns and not being able to change, even for a little while. I am on day 4 of my potato hack. I started with my husband but he didn’t last eating only potatoes. I stayed on it and as of this morning I am down 6 pounds. It isn’t always easy however I don’t feel that hungry eating only potatoes. I do wish I could have some milk in my tea, but I am getting used to it and my cravings for diet soda have gotten better. So all in all its going ok so far! I did dismiss the potato hack as “not for me”. But I did experience similar things on RPS, which improved, so why shouldn’t this be similar? To reset the gut after years and years of abuse might need some perseverance, right? Half a year has passed, maybe my gut is ready now. Alsoo there is the psychological aspect, resetting your pleasure center. I certainly did experience those benefits last time. I’d be interested to hear how it goes for you. My husband did not do well with RPS; his digestion got weird(er) and stayed that way, not improving, and he gave it at least a couple months. So we backed off and are trying some other things for a while, including GOS, and at some point, I want to try with the RPS again and see if he tolerates it. He could surely use a lot of the benefits that other people often find from it. I’m in….. Lost 20 lbs doing this in the past. I would like to see if I can drop a few more. Tim will you be doing it for the full 5 days? Of course I will have sweet potatoes….. I always do. The plan is 5 days, but I’m always happy with 4 and a half, lol. Yeah a nice dinner on Friday and a beer would be something to definitely look forward to. Thanks for the comment. I’m always amazed at how many people I hear from with seeming potato allergies. I’m not doubting at all they are real. I was just reading a note from Dr. Art Ayers this morning, he thinks that it may not be “nightshade” allergies, but an allergic reaction to a potato protein (patatin). Are you also allergic to latex, by chance? Are you allergic to other nightshades: tomatoes, peppers, okra, eggplant? Outstanding! Lots of people (who have not tried the hack!) tell me “it’s all just water weight!” Nope. Maybe some, at first, but the results of periodic all-potato dieting leads to very real fat loss as you are seeing. If someone loses 5 pounds overnight..yes, water weight. I’m doing my first hack. I happened into all of this in desperation mode— Type II diabetes, hashimoto’s resulting in hypothyroidism and a host of ailments that, quite frankly, are wearing me down. I’ve been hitting the treadmill religiously and have watched every morsel (following doctor’s recommendation) entering my mouth since late last year. No matter what, my fasting glucose was 146 to 186. My blood pressure is fond of 160+/90+. Lost 16 pounds, but over the last month and a half, could not budge an ounce. Talked to spouse and after a bit of convincing, decided to take a chance and potentially do more harm than good trying this hack. At this point, what do I have to lose? Today is day 4. After first day, I had a two pound loss. Day 2, one pound. Day 3, two pound. Can’t imagine, nor do I expect to see a loss tomorrow. But, this morning for the first time since diagnosis, my fasting glucose was 129. Can it really be heading in the right direction? Even more, my blood pressure at doc visit this afternoon was 124/75. I feel better than I have in a very long time, and maybe that’s why this has been such an easy transition (so far) for me. I do still take sublingual B-12 and have a cup of lemon green tea in the morning. I feel hopeful… I feel energized… and I still feel cautious and a little bit scared. Ha! But, if numbers keep moving in the right direction … GAH! How thankful I will be! i’m 4 days in and suddenly getting very nauseous after eating potatoes. just potatoes. yesterday was the first time it happened, it was a russet, baked and then refrigerated so i was eating it cold. i chalked it up to a “bad” spud, but this morning, the same thing happened about 45 minutes after eating 5 small potatoes (red, white, and purple), baked and then refrigerated, then heated up on a griddle (no fat). i’m so bummed because i really wanted to do this for as long as possible, but if eating potatoes is making me sick, i cannot see this working. i’m not adding any salt or spices. i’m trying again right now, for lunch, i added some salt thinking maybe that i needed it…. any suggestions are greatly appreciated. not only do i want to continue doing this, but i have a fridge full of potatoes that i would hate to throw away!